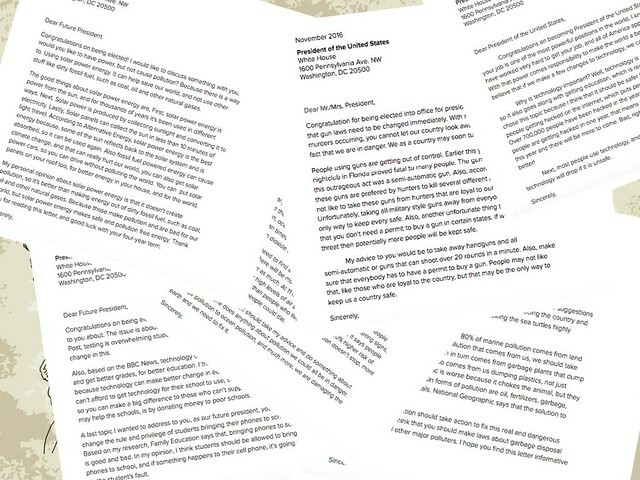 Check out Letters to the Next President — there are more than 6,500 letters of all media types from students 13 and older and more seem to arrive every day. Since my students are under 13, I have been working on a similar project but not for that site (which does not allow letters for writers under the age of 13). Letters to the Next President is part of a National Writing Project/Educator Innovator project. 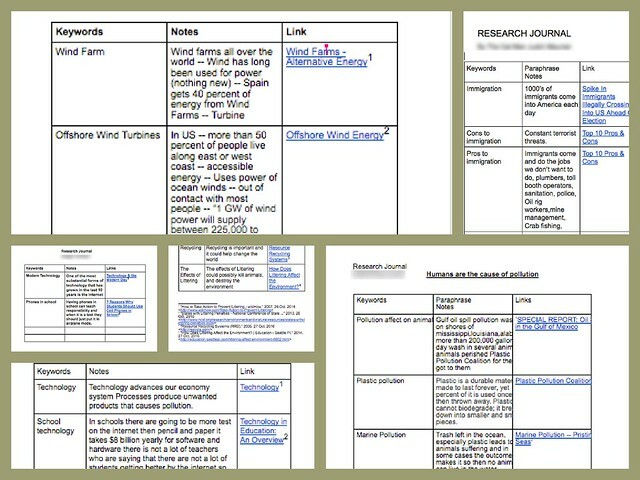 I’ve been able to guide my students into the research component of Google Docs, using tables to track information and sources. This rather small-scale research component sets the stage for longer research pieces later in the year. We’ve color-coded a few letters from high school students as a way to notice facts and opinion as a way to visualize how they can use facts from research to bolster their opinion on the topic they have chosen to write about. And they have been writing their own letters on a topic of choice, laying out an argument for action by the next president. Last week, I put them into “virtual writing groups” with students in all four of my classes — they “invited” other students in other classes to comment on their Google Doc letters — and today, they will be peer reading and reviewing other letters, with the Warm/Cool Feedback approach. Tomorrow, just in time for election day, they will read peer comments, revise their letters and then be just about done with the project. Well, except for the printing and mailing to the White House, which we will be doing. I admit that I missed a few opportunities: I had an offer from a CLMOOC friend who teaches upper middle school to have his students peer review my students. I dropped the ball (maybe it’s not too late). I keep contemplating using Youth Voices as a publishing platform. I still might offer that option up, but it requires parent sign-off, and so I need to get my act together. So, we are the finish line and yet, maybe not quite yet. Please include in your letters to whoever the next president is going to be that demeaning each other for power sets a bad example for young people.